Haiti faces some of the greatest sustainability challenges in the Western hemisphere. Taking a group from PA or elsewhere for Haiti Volunteer Opportunities can go a long way toward economic, educational, and environmental sustainability. With ILI Travel, your group will learn and do charitable work side-by-side with Haitians in local service. Our trip partners and helps fund local nonprofits that are saving and enriching lives. Each trip creates jobs in Haiti and allows for ongoing programs to be offered by the nonprofit we partner with. For our service and lunch, we focus on supporting a nonprofit and their locally identified needs. We hire the same nonprofit to provide lunch for our groups. In fact, we hire a nonprofit with offices in Haiti to partner with us on all of our travel accommodations so that our Haiti volunteer opportunities support local, Haitian nonprofits as much as possible. This way, we have an impact not just while we are there but also through our sustainability approach after we return home. It should be noted that Haiti is one location in which we will not be able to stay in a locally-owned hotel, as we have not found the right fit that meets our safety standards (at ILI Travel safety is our number one priority — in fact, we often send our own families on these trips!). The beautiful beachfront resort that we utilize has a pool, air conditioned rooms, buffet meals, running water, and plenty to do after volunteering. Our hotel will always have security, and we will have a local guide with us who knows the area well in the event of an emergency. 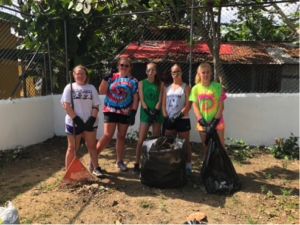 Service learning volunteers have done everything from teaching English and playing sports with children to building chicken coops and tilapia farms. 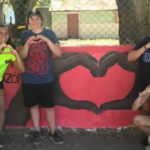 Other youth groups from PA, NJ, and beyond have joined in projects for sustainable growth for those living in extreme poverty, as well as many other activities intended to support the local goals of environmental and educational sustainability. On our trip, you will not only provide service but also charitable work side-by-side with Haitians while learning more about Haitian culture with our Haiti Volunteer Opportunities. Do you play soccer? Come along, and we can find time for plenty of games against the locals (who play in bare feet). Bring your entire soccer team from your local community! Do you play basketball? There is a basketball court at the volunteer site and teaching sports to the children can be part of the service. While American volunteers don’t stand much of a chance at winning in soccer, basketball is less familiar to many Haitians. Bring your teams for both service and sports! There is usually a day in which we will visit a Haitian market. We will be in small groups with a Haitian guide, while each person will be given a nominal amount of money to experience market shopping and negotiating. If you go with friends, you may find your bonds remarkably strengthened. If you go by yourself, be ready to make new friends. Below is a sample daily schedule of a trip to Haiti. Our Haiti volunteer opportunities are usually a 7-day program. 6:00 a.m. – 6:30 a.m. Wake up. If you wake early enough, you can enjoy the sun rising over the ocean. 3:00 p.m. Return to the resort for free time. One day will include a supermarket stop on the way back. You’ll have free time after reflections, and are encouraged to write a blog or create a video blog of your experiences. Plan Your Haiti Volunteer Opportunity Today! ILI Travel is proud to work with groups from local communities such as Chester County, Burlington County, Bucks County, Essex County, Union County, Warren County, and Montgomery County. After your trip, if you are so moved, we can connect you further with the nonprofit to find ways to be of ongoing support with their sustainability efforts. You may never look at Haiti — or the world — the same way again. Get in touch with us today!